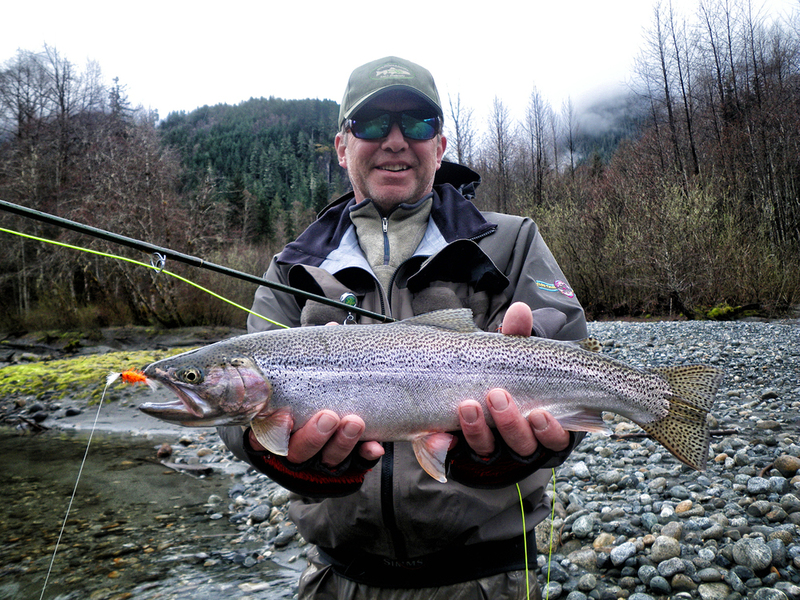 Experience fly fishing on Vancouver Island with our experienced local guides. Day trips are done from Dolphins Resort accessing pristine Vancouver Island rivers by vehicle, then walking or rafting. Catch Steelhead in March and April, Rainbow and Cutthroat Trout on dry fly in May and June or Coho and Pink Salmon in August, September and October. There are also great helicopter fishing opportunities in July through September. Please inquire for more information on these very exclusive trips. 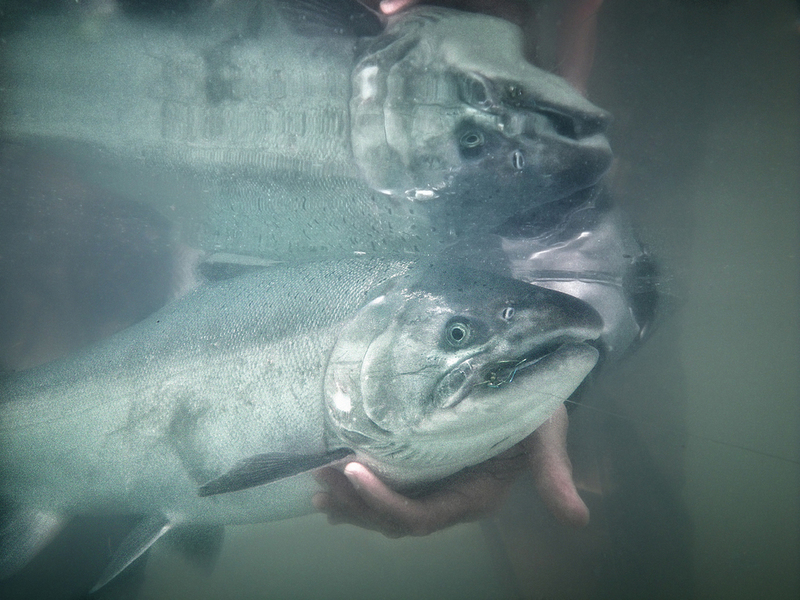 Combine your fly fishing trip with a day or two of salmon salt water fishing for the ultimate fishing experience. An 8 hour fly fishing day trip includes instruction, equipment and tackle. Please note, our freshwater trips are catch and release. Your fly fishing experience awaits you!